Hotel nights and Arctic pristine nature... Greenland Hotel Adventure! A complete trip in the pristine nature of Greenland but resting in hotel. Eight days of travel, not to say of exploration and adventure, that will help us to intensively know both sides of Greenland. On the one hand his last nature: huge glacier fronts, walk on a glacier tongue of millions of years, boat transfers and kayaking among icebergs; secondly, its people and traditions: inuit towns like Narsaq or Qaqortoq and idyllic villages like Igaliku or Qassiarsuk with its viking ruins. This unique heritage has been recently recognised and inscribed in the UNESCO World Heritage List. The journey is designed so that it is suitable for anyone who enjoys outdoor activities and goes hiking or trekking on a regular basis, not needing a very special physical condition to participate. The walk to Igaliku could be arranged in situ as a car transfer (additional cost 75 dkk per person, one way). The excursion on ice with crampons will be guided by a mountain guide, and is also suitable for anyone with an adventurous attitude. For the kayak optional excursion, previous experience in kayaking is not required. Flight from Reykjavík (domestic airport) or Copenhagen to Narsarsuaq in South Greenland. Reception at the airport and transfer to the hotel for check-in and information meeting. Hike to the Glacier View Point, around one hour from the hotel. Great views of the Tunulliarfik fjord icebergs and the Kiattuut Glacier. Accommodation at Hotel Narsarsuaq. Twin/double room with private facilities. Boat transfer from Narsarsuaq to Qassiarsuk (former Brattahlid, capital of Viking Greenland). Walk through the village of about 50 inhabitants and guided tour of the Viking ruins of Brattahlid, learning the history of the arrival of Eric the Red from Iceland at this small settlement in 985. Of particular interest are the reconstructions of a Viking house (spacious but cold) and an inuit dwelling (small but warmer), transporting us back in time to the harsh conditions in which these people lived and it definitely shows us how the Inuit knew how to adapt better to the progressive cooling of the climate. This Norse and Greenlandic core farming area were in 2017 inscribed on UNESCO’s World Heritage List under the title Kujataa Greenland. After the cultural visit it’s time to action: 4×4 trip to the beautiful Tasiusaq farm, where seven people live in notable isolation next to Sermilik fjord, which is almost always blocked by the ice from icebergs coming from Eqaloruutsit glacier. Pic nic at the Tasiusaq Hostel or outdoors if weather permitting. 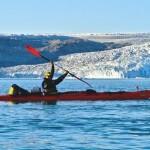 A two hour sea kayaking trip for beginners among icebergs in one of the safest and nicest places in Greenland. Way back by jeep to Qassiarsuk and boat transfer to Narsarsuaq. Transfer from Narsarsuaq to Qaqortoq through the complex system of fjords and among numerous icebergs, admiring the beauty of their vertical ice walls. Guided City Tour in Qaqortoq. The capital of South Greenland was founded in 1775 and nowadays has almost 3000 inhabitants. It’s described as the most charming and attractive town in all Greenland. Accommodation at Hotel Qaqortoq. Double room with private facilities. Time to take a stroll around the city, while you enjoy the beauty of its colourful buildings and the awe-inspiring landscapes. Explore on your own the museum, the fur shops, the traditional kayak club, the church or the only fountain in the country. Boat transfer to “Hvalsoy” or Whale Island, with the ancient Norse name “Hvalseyfjördur”, where we will found the ruins of Hvalsoy Church. Built in the 14th century, Hvalsoy is the best preserved of the churches in Greenland from that period. People gathered here from far and wide to attend Cchristian festivals throughout the year. The fells and the fjord which surround the church have not changed at all over the centuries. In the afternoon, transfer by zodiac boat to Narsaq city, the third most populated town in South Greenland. Accommodation at Hotel Narsaq. Twin/Double room with private facilities. In the morning we will set off towards Qaleraliq camp, our base right next to the polar ice cap. It is a domo tents camp set on a sandy beach, which contrasts with a spectacular view of three glacier tongues. After some rest we will start the navigation along the vertical glacier fronts, admiring the beauty of their ice walls and numerous icebergs as we approach them along their more than 10 kilometres descent to the sea. Now it’s time to action: a impressive trek using crampons on the ice cap, exploring its crevasses, drains, caves, and seracs. An expert mountain guide will be in charge of the excusion to ensure the safety of the group, while he shares with us his knowledge about the characteristics of the glaciers in southern Greenland. Picnic lunch in the ice or at the camp, depending on weather conditions. In the afternoon, transfer by zodiac boat to Narsaq. We will be surprised by enormous icebergs falling off from the Eqaloruutsit glacier and floating throw all the Sermilik Fjord. Sometimes, they are blocking the access to the harbors of Narsaq. Accommodation at Hotel Narsaq. Twin/Double room with private facilities. Narsaq, with about 1,500 inhabitantsis, is the third most populated town in South Greenland. During the morning you will have free time to visit the museum, fur shops or the fish market. After stroll around in Narsaq we will navigate to the pontoon of Itilleq, where an easy hike to cross the “Kongevejen” or Path of the Kings begins. Our destination is the idyllic Igaliku, a small Inuit settlement inhabited by no more than 40 people. Igaliku, home of the ruins of Gardar (religious capital of Viking Greenland), is famous for being the most beautiful settlement in Greenland. Accommodation and dinner (included) at Igaliku Country Hotel. Twin/Double room with shared facilities. The green hills of Igaliku as well as the spectacular views of Einarsfjord provides a warm relax to the traveler in a quiet environment before the hike back to Itilleq’s pontoon. 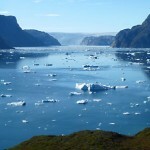 Excursion: Sea route to Qooroq Ice Fjord, the most active glacier in southern Greenland. We will navigate among blocks of ice until the density of ice is such that we can no longer continue. You can’t imagine the sight of huge icebergs floating chaotically around us! 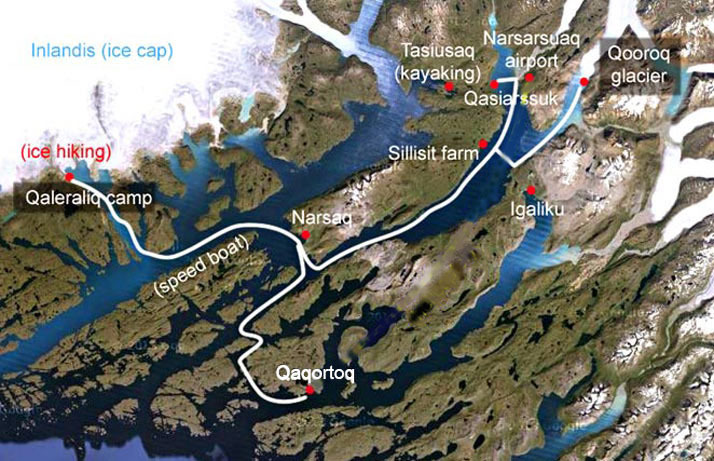 From Qooroq we will continue the navigation to Narsarsuaq. Accommodation at Hotel Narsarsuaq. Twin/double room with private facilities. We reserve of our last day in Greenland for the most famous hike in the area, the Flower Valley. 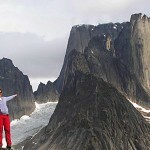 A spectacular hike with sights of the Kiattut river and glacier. You will enjoy the spectacular view of this valley formed due to the retreat and the consequent glacial sedimentation with plenty of flowers. Hike back to Narsarsuaq, where we can visit the Bluie West One Museum (former US military base frozen in time since the Second World War). Flight Narsarsuaq-Reykjavík (domestic airport) or Copenhagen. – September 03rd – 10th. Registration date: Up to 60 days before the journey’s departure date. Registration after that date: Depending on flight availability. Reservation: 40% deposit of the total price, excluding airport taxes. 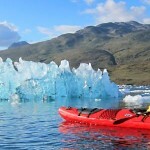 * It’s recommended to confirm Optional Excursions in advance before arrival to Greenland. – Accommodation in hut or in twin/double rooms at Igaliku Country Hotel including dinner and breakfast. 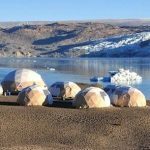 – Tasermiut South Greenland Expeditions guide (english speaking). N. B. Note that prices of optional excursions may change. 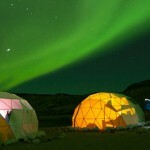 Stay connected to the latest news and information from Tasermiut South Greenland Expeditions.